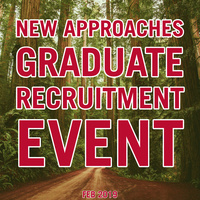 An opportunity for participants to interact with potential graduate advisors and UGA graduate students before submitting an application to graduate school. Participants will also attend workshops on applying to graduate school, contacting potential mentors, and applying for competitive fellowships, including the NSF Graduate Research Fellowships Program and the Ford Predoctoral Fellowship Program. This project was initiated by the Odum School of Ecology and is supported by the Center for Integrative Conservation Research, the Peach State Louis Stokes Alliance for Minority Participation (LSAMP) Program, and the Graduate School of the University of Georgia.